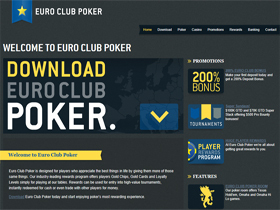 Euro Club Poker is only available to European players and offer great promotions. 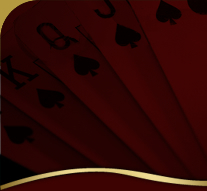 Despite the site being rather small players will have access to the whole Cake Poker Network with frequent games and tournaments. The graphics are simple and uncluttered with resizable tables. Euro Club offer popular online poker games such as 7 Card Stud, No Limit Hold’em, Pot Limit Omaha and a number of Hi/Lo variants. They also have a great rewards program complete with Gold Cards, Gold Chips and Gold Stacks. Euro Club Poker players have the option of using numerous banking options, such as Visa, MasterCard, Maestro, Neteller, SkrillMoneybookers, Click2Pay, ClickandBuy, PaysafeCard, WebMoney, UKash, iDeal, GluePay and GiroPay. The support team at Euro Poker are available 24/7 by telephone and email and players may also access support via Skype or live chat between 2pm and midnight. Euro Club Poker was established in 2005 in the Malta jurisdiction. All players will receive a 100% match bonus, up to $1,200 and will have 60 days in which to redeem it. Euro Club Poker also has a VIP Club in which all online poker players who earn 500 player points or more in one month will be granted a full membership.